Suntamers offers a variety of automotive window tint films. Solar Gard® High Preformance Surpreme is the highest quality hybrid film available. Known for being color-stable and excellent in solar heat-rejection, this film is also backed by a lifetime warranty. Rayno Window Film is built with Nano Carbon Ceramic technology to provide top notch color stability, maximum heat rejection and outstanding longevity. Ranyo Window Films are backed by a manufacturer lifetime warranty. 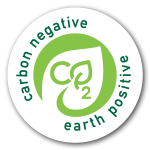 Cape Coral | Bonita Springs | Fort Myers Automotive window tint films reject significantly more heat and solar energy than ordinary films. You’ll notice the difference on long drives or when your car has been parked in the sun. Window tint films reduce “hot spots” that even your air conditioning system can’t overcome. By keeping the interior cooler, your air conditioner won’t have to work as hard. You’ll save fuel and help extend the life of the air conditioning system. Automobiles are an expensive investment, so many people are keeping their vehicles longer. A well-maintained vehicle will retain its value better at trade-in time. Automotive window tint film can help. The combination of solar heat and ultraviolet can cause interior trim, upholstery, and carpeting to fade. Because automotive window tint film rejects solar energy and up to 99% of ultraviolet, you can slow down your vehicle’s aging process. Plastic trim parts are less likely to crack and fabrics aren’t as quick to fade. Automotive window tinting helps your vehicle look new longer. The harsh glare from the sun or bright headlights cause squinting and fatigue. Automotive window tinting significantly reduces glare and helps take the strain out of driving. You’ll appreciate the added comfort it provides. There’s no doubt installing window film is one of the best ways to improve the look of your vehicle. You’ll notice the sleek, custom look as soon as the installation is complete. It’s just one of the many benefits you’ll get from a high quality, high performance films offered by Suntamer. As you drive, you’ll find your vehicle is cooler and more comfortable. Your car is also safer and the interior is less likely to fade with window film. The next time you’re on the street or in a parking lot, look around. Chances are, you’ll see vehicles with film that has turned purple or bubbled. The owners of these vehicles may have saved a few pennies at installation, but now they’re paying the price for inferior film. 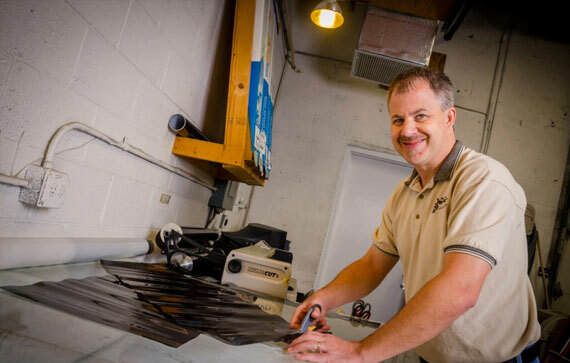 Suntamer uses the highest quality window films made from first quality American-made raw materials to insure the longest product life expectancy. 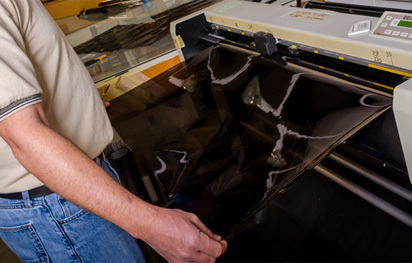 High performance films are manufactured by a unique process called “sputtering” that imbeds metal particles into rather than onto the polyester film. The high temperature adhesive system has been proven over the years to resist bubbling. Our films all have a durable, scratch-resistant coating so they’re easy to clean and hard to damage. People don’t usually associate window film with increased safety. But, today’s vehicles use tempered glass in the side and rear windows. An accident or blow from a heavy object can cause these windows to shatter into hundreds of tiny sharp pieces of glass. Our window films protect by helping to hold the glass together so you’re not showered with broken glass. 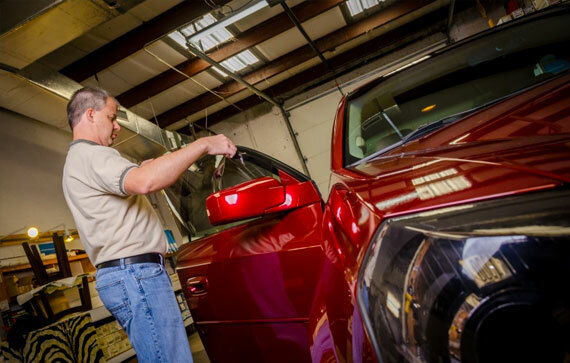 Suntamers uses a variety of different types of window tinting films based on your car & your needs. 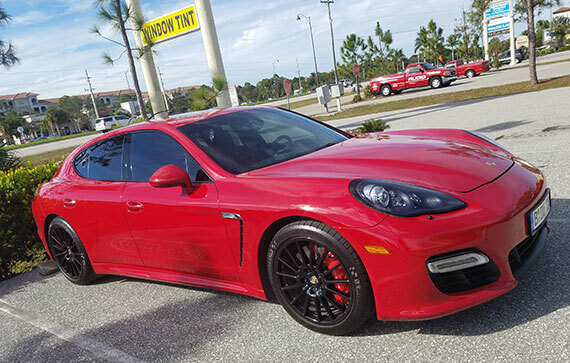 We charge as little as $32.50+tax (our minimum charge) for most single door windows all the way up to $500.00 for a ceramic window tint job on a large SUV (with Windshield strip). Our typical car prices start about $150.00 for most cars, some run less and some run more. Please call for an exact quote for your automobile, check to see if we are running any in-store specials or to set up an appointment. We design, deliver and install. Contact us for your FREE quote today! The best defense against everyday road debris that can damage your vehicle’s paint. The Nano-Fusion® paint protection system is the most advanced development in protection for automotive paint finishes. The quote is for the whole vehicle except the windshield and sunroofs unless otherwise specified. Will the window tint turn purple? No, we do not install window films that are not color stable, guaranteed. you can get window tints that turn purple just not from Suntamers. You have your choice of shades, all the States have specific rules, the State of Florida requires a 28% net visible light transmission on the front doors and a 15% on the section of the vehicle behind the front doors (we will not go darker than legal unless you have a medical exemption form filled out and registered at the tax collectors office). Can I tint the windshield? We can tint the windshield at the top above the AS1 line, generally this is about 6 inches on most cars. there is an additional charge for the windshield “strip” You can have the whole windshield tinted if you have a medical exemption form filled out and registered at the tax collectors office. Each of the window films have different performance characteristics, cost and and installation time, we want you to have a selection based on your needs and budget. Can my back window be done in one piece? At Suntamers 99 out of a 100 rear windows are done in one piece. 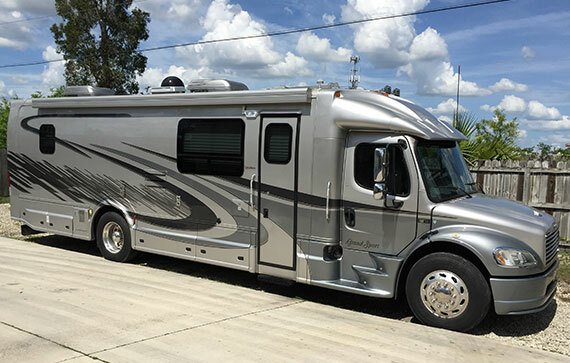 We always book appointments for work, your vehicle could take anywhere from 20 to 30 minutes for a pair of doors to 3 hours for a custom van, most cars are 1 to 2 hours. we have waiting areas in our stores or you can drop it off. What is does the guarantee cover? Suntamers Ceramic and High-Performance window films come with an in-store five year free replacement guarantee for manufacturer defects. This guarantee is non-transferable and is in addition to the lifetime limited warrantee of the manufacturer. Some of the “types of defects” we cover are: bubbling, pealing, discoloration, blurring, blotching. Usually 3 days after installation, we will tell you if different time duration is necessary. How long will it take to dry out? Usually a week, but cloudy weather, keeping the car in the garage, or just a lack of heat and sunshine can slow the drying time to a month or longer. Suntamers has at its disposal The ComputerCut system for use on your car. The consistent, evenly cut patterns by a computer and plotter mean not having to be cut on a vehicle, it results in less chance of any damage being done to your property. That makes ComputerCut a win-win prospect for everybody! we then heat shape the patterned films, clean you interior glass and install the precise precut pattern to the inside of your glass. Ok Ok it is not as easy as it sounds, but we do make it look easy. Let us handle your residential, commercial and automotive window tinting needs! With over 45 years experience, our reputation is reflected in your top ratings.